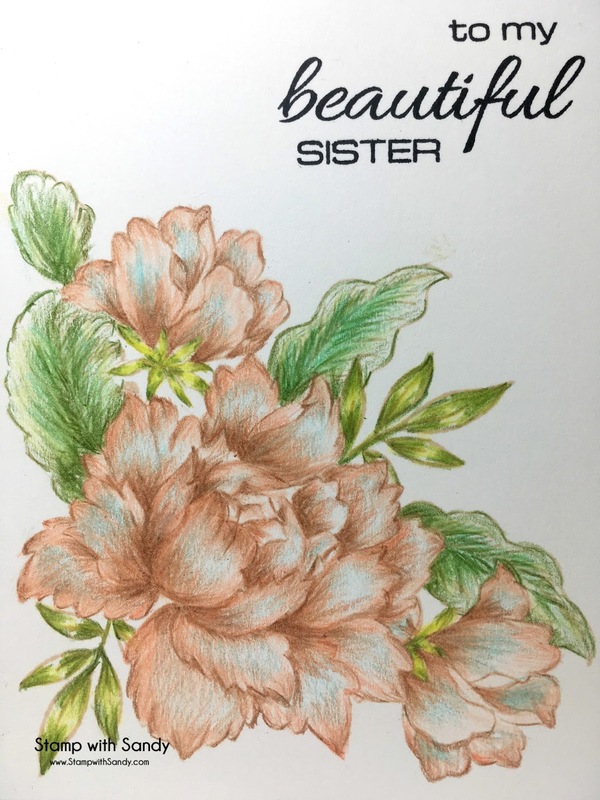 Speaking of family, this card is going to be for my sister who grew up in the same environment and also loves florals and nature. She's not a pink and glitter kind of gal, but is more attracted to subdued earth tones, so I hope she'll like this card. This is my first and only attempt at no-line coloring with colored pencils. 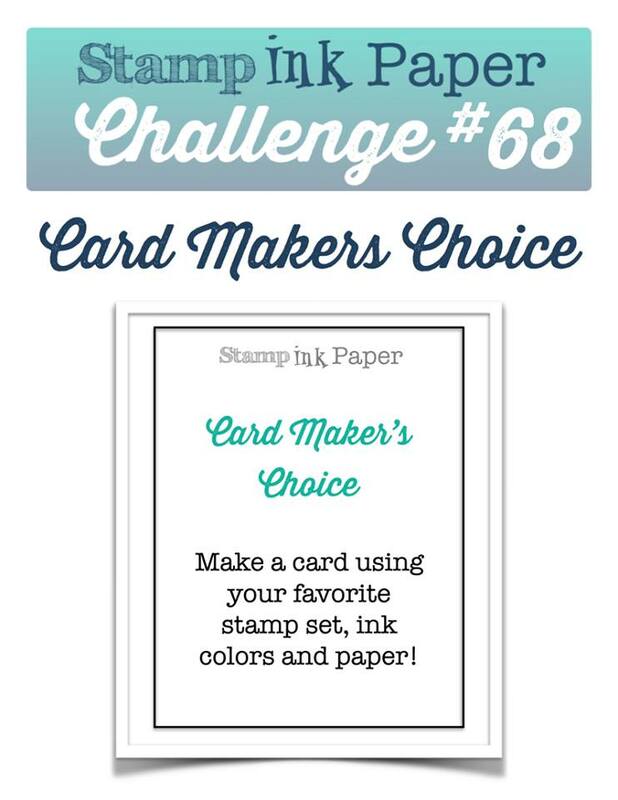 I stamped my image onto Solar White cardstock using Memento Desert Sand ink, as it is a very light hue and easily colored over, hence the "no-line" coloring. It wasn't exactly what I was going for but I hope I'll get a little better with this technique over time. Speaking of which, I just need more time to craft! 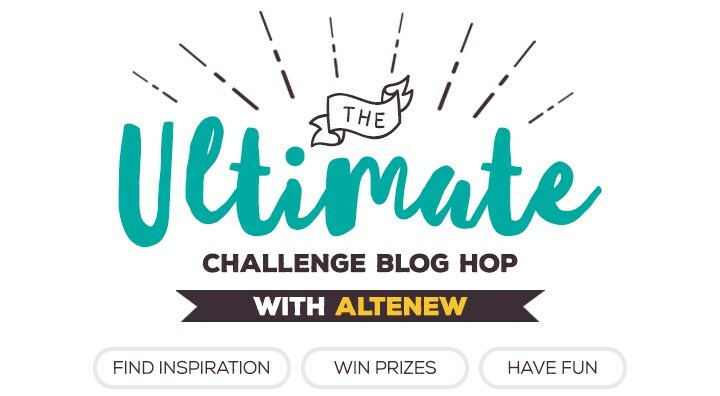 I'm also playing along with Altenew's Ultimate Challenge Blog Hop, and Anything Goes at the Simon Says Stamp Wednesday Challenge. Hi Sandy, I came over to your blog nice and early today, like when I'm not half asleep in bed. I can't seem to post from my iPad on a consistent basis. Sometimes it lets me and sometimes it does not. I did like you cat in the pumpkin yesterday. Your coloring always amazes me. You do have a very light touch . . . me I'm hurry, bold and not too delicate end result. This no-line flower is beautiful. 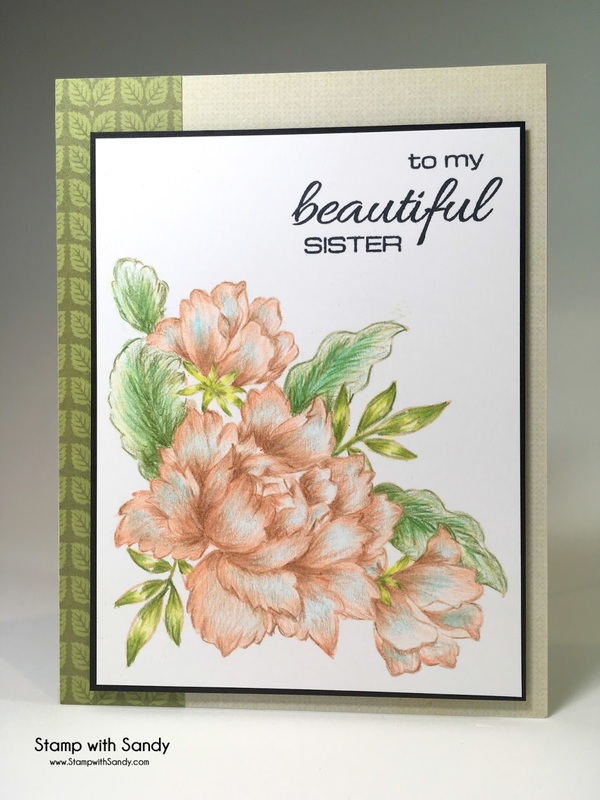 I am sure you sister will love it and especially that it says "sister" that is something my sisters always look for. That is so nice to know your parents had a nursery. A lot of work, but must have been beautiful. This is absolutely beautiful, Sandy. Your attempt at no line coloring looks very successful to me. I'm amazed that this was your first try! Your sister is very lucky to receive this card. This is just gorgeous. I would not be surprised if your sister framed it, it is such a work of art! My mom's love of flowers is what got me started. She always had a big garden all around the house. This is so beautiful! Your no-line pencil coloring is exquisite. Such a gorgeous stamp image. How fun to grow up surrounded by flowers!Your card is gorgeous.Your sister will love it!! 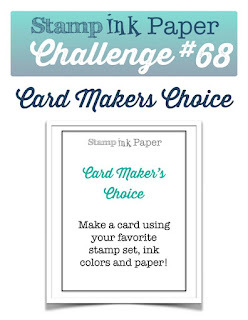 Hi Sandy, I was perusing your blog (love all your gorgeous projects!) 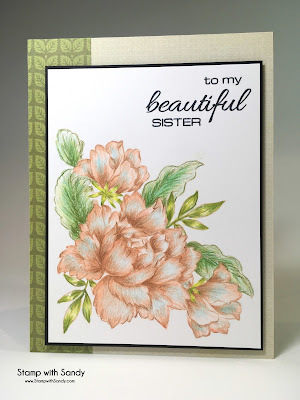 and was so impressed to read that you colored the images in this card with Prismacolor pencils. Beautifully done - your shading and details are amazing! No doubt your sister cherished receiving it. So lovely!